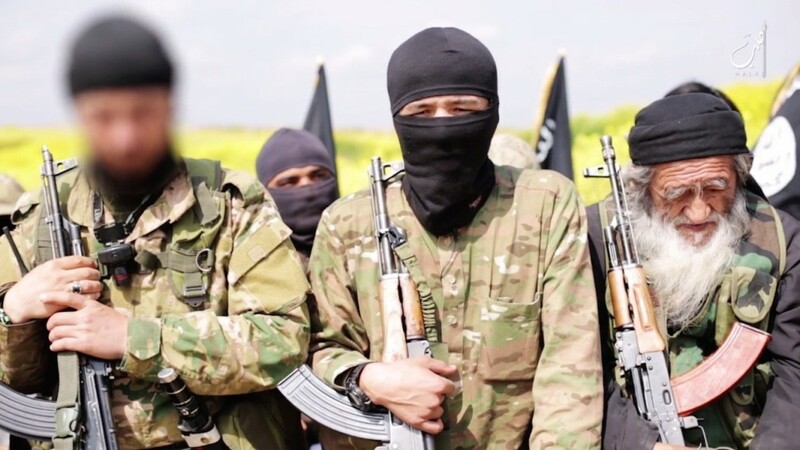 The Daily Star – A new set of alleged demands to free servicemen held by ISIS relayed by an unofficial mediator Tuesday are “impossible” to meet if they are indeed authentic, a security source told The Daily Star. He did not clarify the nature of the charges or whether ISIS was demanding the general release of all Muslim or Syrian female detainees. Midway through the conference, Masri said a member of his entourage had informed him that ISIS had announced its willingness to stop executing captives under certain conditions. One of the conditions required the Lebanese Army to open a passage to Wadi Hmayyed, Masri later told The Daily Star, adding that ISIS was not calling for the removal of checkpoints, but was demanding that the military open roads to the outskirts. The sheikh said the militants would break their vow if measures were taken against the town of Arsal. Masri also said the militants were demanding the release of ISIS leader Abu Bakr al-Baghdadi’s ex-wife Saja al-Dulaimi, and Ola al-Oqaily, the wife of ISIS commander Anas Sharkas. The pledge to halt executions for the time being was also contingent on the continuance of negotiations, he added, warning that any “wrongdoings” could lead to the killing of more soldiers. The families of the captives were unsettled by the lack of official confirmation from ISIS that it had tasked Masri to conduct talks. “I told him that I want an official document stamped by ISIS indicating they had appointed him for the negotiations,” said Omar Haidar, a spokesperson for the families. The spokesperson told The Daily Star he got confirmation from unidentified sources that Masri had in fact gone to the outskirts Tuesday. “But that doesn’t mean he met with the mediators. We don’t really know who he met,” Haidar said, expressing his frustration over the state of confusion that has plagued the case. Haidar said that the last time he had been contacted by the captors, they told him that Arsal Deputy Mayor Ahmad Fliti, who was endorsed by Health Minister Wael Abu Faour, had been appointed, along with several other figures, to mediate talks with ISIS. “I just called Fliti before the conference and he was shocked that Masri went to the outskirts,” the spokesperson said, quoting the deputy mayor as saying that he had not received any information from ISIS concerning Masri. “Under what authority and in whose name is he making this trip?” Haidar quoted Fliti as saying. Fliti refused to comment when contacted by The Daily Star, citing the confidentiality of the file in line with the government’s no-talk policy. Separately, the National News Agency said the Lebanese Army pounded gatherings of militants on the outskirts of Arsal Tuesday evening.